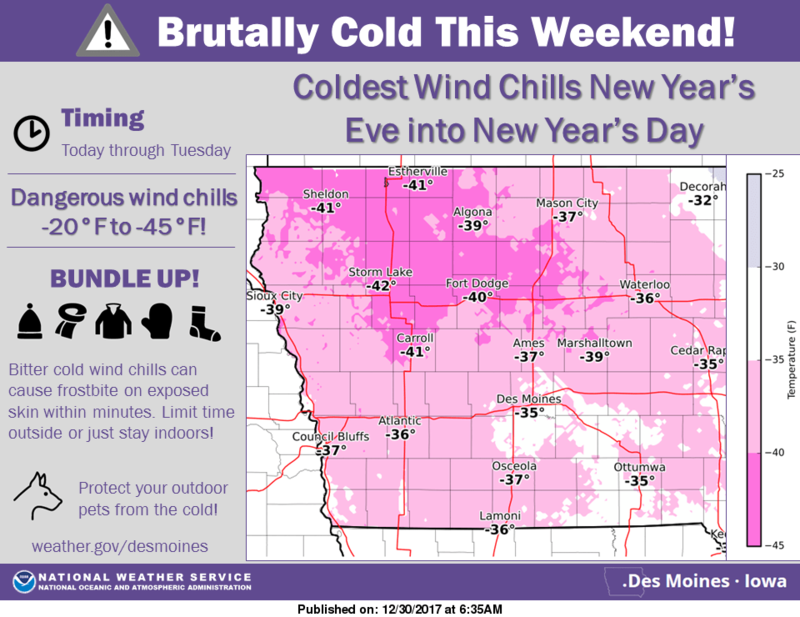 Dangerous cold continues throughout the entire state of Iowa. A Wind Chill Warning is in place throughout the state. Wind chill values down to 35 below zero are possible in the overnight and morning hours, and daytime air temperatures won’t get above zero until Tuesday afternoon. Frostbite can occur in as little as 15 minutes in those conditions. Stay tuned to KNIA/KRLS for the latest winter weather information.